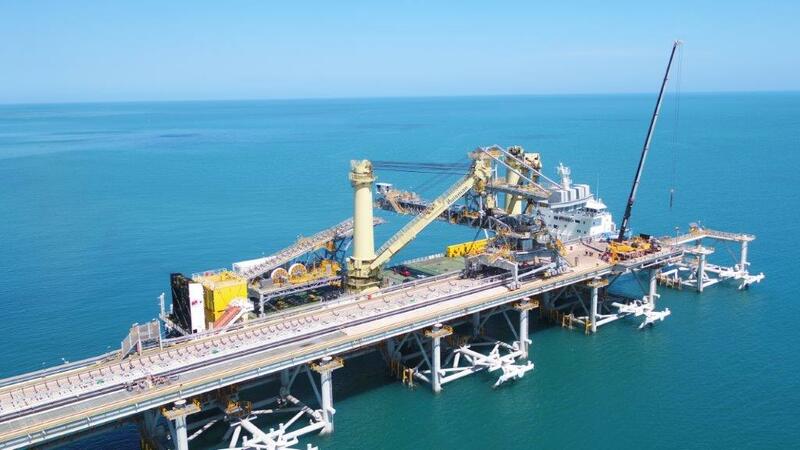 The final major piece of infrastructure for the $2.6 billion Amrun bauxite project on Cape York Peninsula, a ship loader, is being assembled on site. 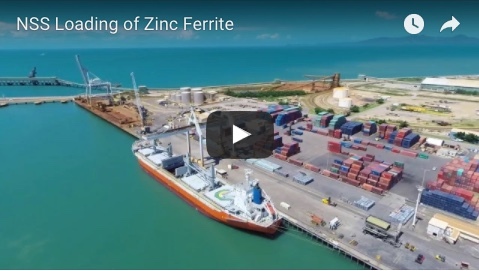 Rio Tinto says first production and shipping are now expected before the end of 2018, ramping up to an estimated full production rate of 22.8Mtpa by the end of 2019. Queensland Premier Annastacia Palaszczuk and Rio Tinto chief executive Jean-Sébastien Jacques today visited the soon-to-be competed project. Out of a total cost of $2.6 billion, Rio Tinto has spent $2.1 billion with Australian companies, of which two thirds has been with local Queensland business. This includes $244 million invested with local Cape York companies. “It is a tremendous achievement that more than 770 Queensland businesses have been engaged directly and indirectly to supply goods and services at the Amrun project,” Ms Palaszczuk said. More than 1200 people are now working on site, including 900 Queenslanders – representing 75 per cent of the workforce – and 178 are Indigenous people. Rio Tinto Weipa Operations employees have started moving across to the project to support pre-mining activities as it transitions from a construction site to a fully functioning mine. With the ship loader now being assembled on site, construction of the Amrun infrastructure is 90 per cent complete and turnover to operations under way. 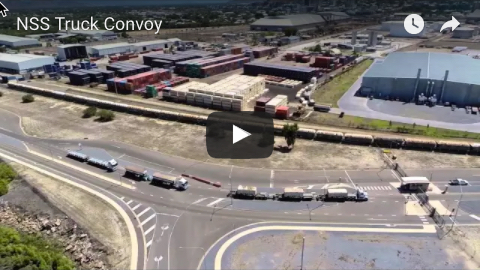 The ship loader was fabricated into three main modules by Civmec at its Western Australian facility after it was awarded a contract by Sandvik to support the project.